A new report published by the site CarRentals.com says that the steering wheel of your car might have more germs than the seat of a public toilet. That will make any germaphobe scared to drive, or resort to the use of gloves while driving. The company found that in an average car, there are about 700 different types of of bacteria, with the steering wheel being their favorite spot. 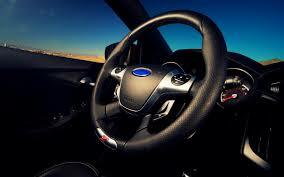 The typical steering wheel had about four times the amount of colony forming bacteria per square centimeter than a public toilet seat and while we might think mobile phones ae more likely to pick up germs, it had six times more bacteria than a mobile phone. It even had twice as much bacteria as a button in a public elevator button. The main reason for the high levels of bacteria was attributed to the failure by most people to clean their cars regularly. A survey that covered the habits of 1000 drivers in the US found that 32 per cent of them only clean the interiors of their car once in a year. A further 12 per cent said they never cleaned the interiors of their vehicle. The main reason why the bacteria thrived in a vehicle in the first place was because people ate in their vehicles. Split liquids and crumbs create a very supportive environment for bacteria to grow. A recent survey by comparison website Finder found 38 per cent of Australian drivers admitted to eating while driving. In the UAE, motorists caught eating, drinking and applying makeup while driving can be fined up to AED 1,000 and have 12 black points added to their record, as these are all considered to be activities that can distract a driver. He study also found that the average fuel pump had 11,835 times more bacteria per square centimeter than a public toilet seat, which is also quite worrying.